This post is a long time coming. I’ve been such a bad blogger (hangs head in shame). You’ll definitely want to definitely check this out if you’re a Charlottean who loves to dine (as I do). See, there’s this not-so-little dining competition that happens to be a BIG deal all over the state, but has never came to Charlotte…until now. I was invited to be a guest judge at two of these events in the past few months, which basically required me to eat lots of amazingly creative and delicious dishes and then judge them. But you don’t have to be invited to participate in this experience. 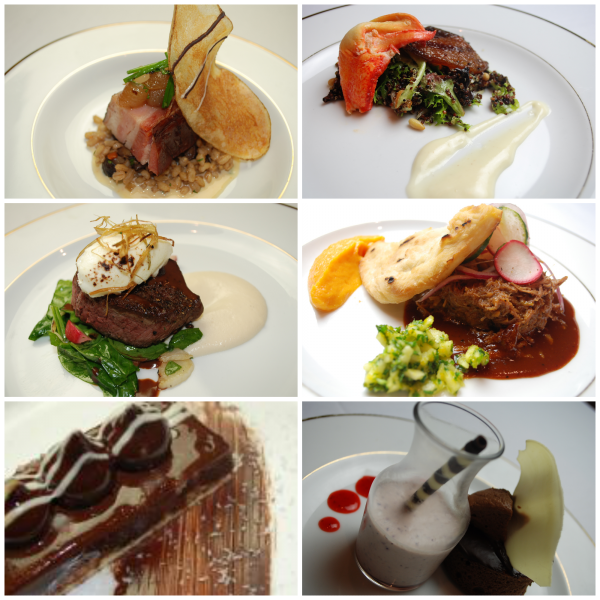 Anyone can be a “judge” at the Competition Dining Series events. Throughout the year, different regions of NC participate in Competition Dining Series named after their region. The first one I attended was Fire on the Rock, held in Blowing Rock, NC and the second one I attended was Fire in the Triad, held in Greensboro, NC. There is also a regional competition held in Raleigh, Wilmington, and Asheville. The competition works kind of like Iron Chef in that a two chefs goes head to head each night and there is a secret ingredient, which is announced to the chefs the morning of the competition. The judges and public do not find out the secret ingredient until the beginning of the event. Each chef creates three dishes, for a total of six courses — appetizer, entree, and dessert x 2 — using the secret ingredient. The regional competition lasts several nights. Chefs around the region apply and Competition Dining chooses those that are most suitable for the competition. Each night, a chef competes against another chef. The public and judges vote and the winner goes on to the next level and the loser does not. The judging is “blind”, which means that they do not know which chef cooked what dish during the competition; however, this is revealed at the end of each individual competition. At the very end of the regional competition, a winner is declared. The winner goes on to face the other regional winners in Final Fire (held in Raleigh), where the winner of the state will be named. I served as a guest judge (called “Pros” during the competition) during the final round of Fire on the Rock. This competition actually had two secret ingredients: Old Mill of Guilford Grits and Midnight Moon Moonshine. 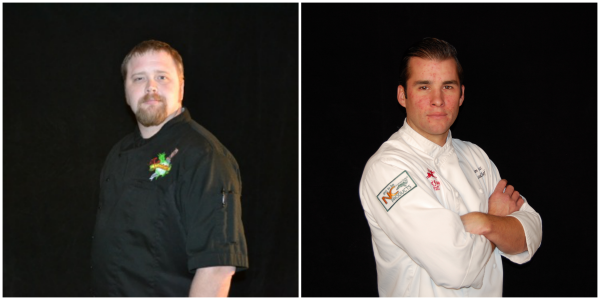 Chef Sam Ratchford of Vidalia in Boone faced off against Chef Adam Hayes of Red Stag Grill in Asheville. Here are the dishes I tried (Chef Ratchford’s dishes are on the left and Chef Haye’s are on the right). Chef Hayes was declared the winner of this competition and for good reason. Although I liked Chef Ratchford’s dessert a more, Chef Hayes’ entree really pushed him over the edge (in my opinion). The venison was amazing! I attended Fire in the Triad in the middle of the regional competition. But even though, I didn’t have a hand in picking the ultimate regional winner, like I did with Fire on the Rock, I believe I picked the perfect night. The secret ingredient the night I judged was Mona Lisa Chocolates. Chef Johnny Bobby of Noble’s Grille in Winston-Salem faced off against Chef Juan Guzman of J. Pepper’s in Kernersville. 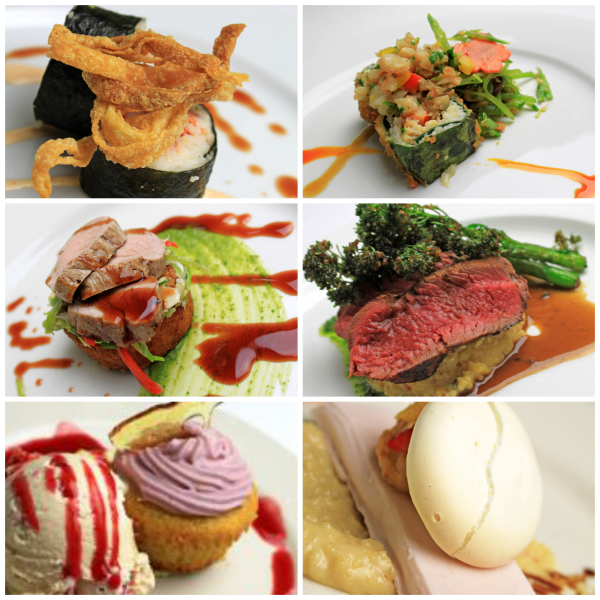 Below are the dishes presented that evening (Chef Bobby’s dishes are on the left and Chef Guzman’s are on the right). The winner of this event was Chef Bobby, which I picked as the winner as well. In fact, my scores were very much in-line with what the public voted during both competitions. Chef Bobby’s first dish — the braised smoked bacon — was amazing. And even though I thought the filet wasn’t remarkable, his dessert put him waaaay over the top. Chefs get to bring two people with them to create these dishes, and Chef Bobby (wisely) brought his wife, who is the pastry chef at Noble’s. Her chocolate genoise was oh-my-gosh amazing. It was everything a decadent chocolate dessert should be. If you live near Charlotte, you have the opportunity to participate in this amazing dining opportunity too. Fire in the City will take place September 7 through October 21. You can’t make reservations quite yet, but if you’re interested in attending (and you should be), check out their reservations page in late August. You can also follow me on Facebook, where I’ll be sure to announce when tickets go on sale. I *think* chefs can still apply here to participate in the competition. 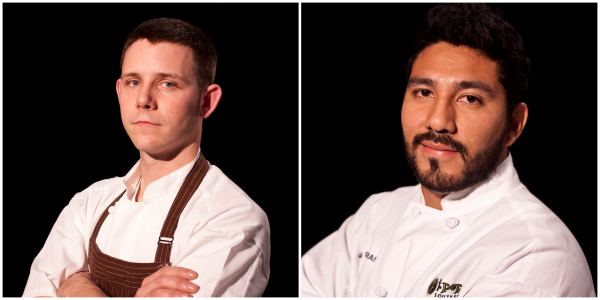 I am dying to know what chefs from my favorite restaurants will be competing. I was not compensated for this post or my time spent judging. All opinions expressed are 100% my own.